We’ve been doing a bit of work on the maker space lately, and this website too! For the last several years, our website has been hosted on a VPS provided by Blair (thanks so much!) 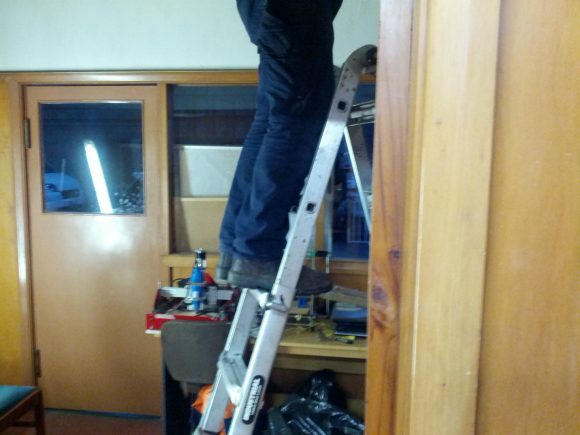 Now that we’ve got a reliable Internet connection at the makerspace though, we’re able to host the site from an on-site computer that’s already hosting the Valley Workspace, Dunedin Electric Bikes, and Quarantine Island sites, and some makerspace affiliated projects like Dunedin food truck tracker foodoo.nz. If you’re interested in how the Internet works, want to host a site, or have fun ideas for things to connect to the machine, just say the word! As part of the website move, I’ve upgraded the WordPress install, and am planning to embark on a clean out of the Users (we’ve apparently got ~45k) and Comments databases. I’ll try to keep from deleting legitimate accounts, but if your dspace account disappears, just let me know and I can restore it. Finally, some donated lights were installed last weekend, in the room adjoining the bike workshop, to light up that web server!